Rigid and flexible links to visualize organic molecules in three dimensions. 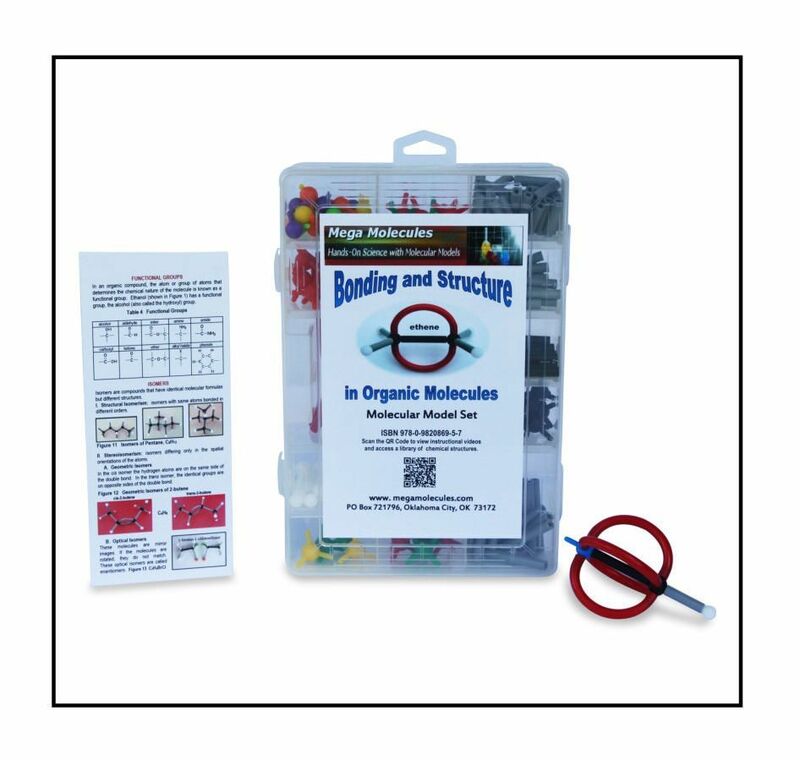 This high quality molecular model set will be an immense help when learning organic chemistry. Among the 220 durable plastic components, there are a large variety of atom models with different orbital hybridizations. This model set also has both flexible and rigid links. Flexible and rigid links are used to create accurate representations of sigma and pi bonding. The links are scaled for more precise bond lengths. The models will help you visualize organic molecules in three dimensions, which can be very useful if your class requires chair flips or finding the most stable conformations. The bonds in this kit allow for easy transformation between "boat" and "chair" conformations. The instructions and pictures show you how to assemble the atom models.